Large 5 bedroom home, with full lower level walkout, is much bigger than it appears from the street. 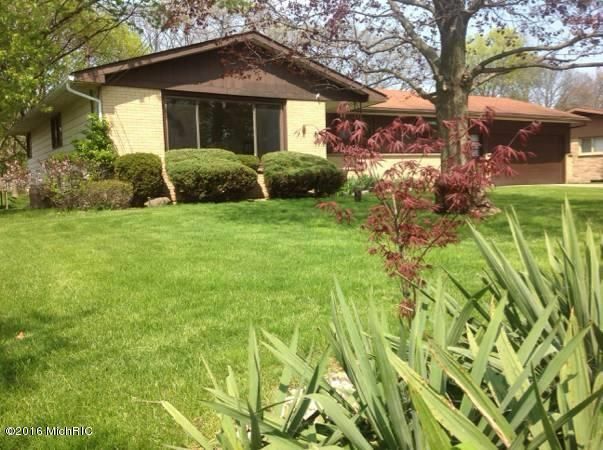 Beautiful renovated home in established neighborhood on quiet cul-de-sac street, near Northview schools, shopping & restaurants. Living room features a huge picture window with a southern exposure, making it bright and cheery even on cold winter days. Updated kitchen has all granite countertops, food pantry, dining area, & formal dining room with fireplace & slider to back deck, plus main floor laundry/mud room. Expansive comfy family room on lower level with another fireplace, & walkout to large backyard. Hardwood and porcelain tile floors throughout upper level, carpeted lower, 2-1/2 stall attached garage, large wooden shed, lots of storage. Well insulated, low utilities.